Northern, Townsville: ... to send from Townsville to Melbourne. The very friendly Rick came over ... to far away places and overseas. How much does it cost to send a bottle of wine to the UK? If you are shipping wine internationally or interstate, PACK & SEND can cater to your needs. Our team is skilled and experienced in shipping wine, coffee, hampers and more. There is no doubt that items like wine must travel secured in a wooden case or container. PACK & SEND specialise in building tailor-made wooden crates and plywood containers, fit for any situation. These custom cases will give you peace of mind when sending expensive bottles of wine. 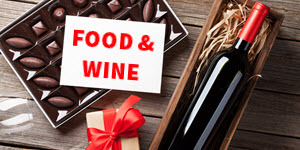 Sending treats to your friends, posting wine overseas or large hampers to clients, our team can handle any job. It’s straightforward and secure!